We know that every bride has a certain style, look, and feel they want for their wedding; which is why we pride ourselves in creating custom designs for each of our clients. 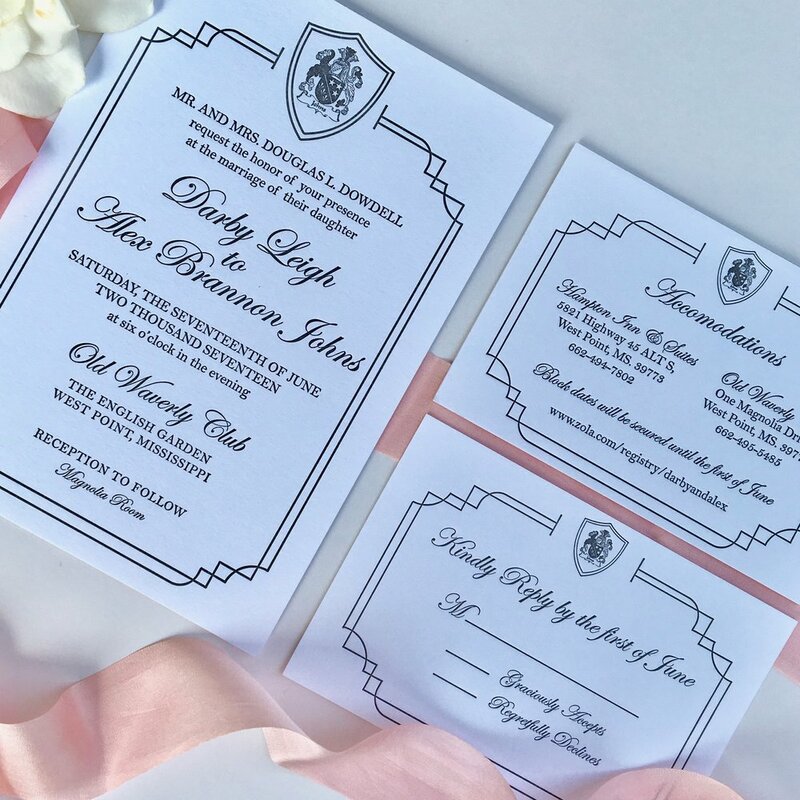 "Emily did a phenomenal job creating our wedding invitations & we could not have been happier with her services. 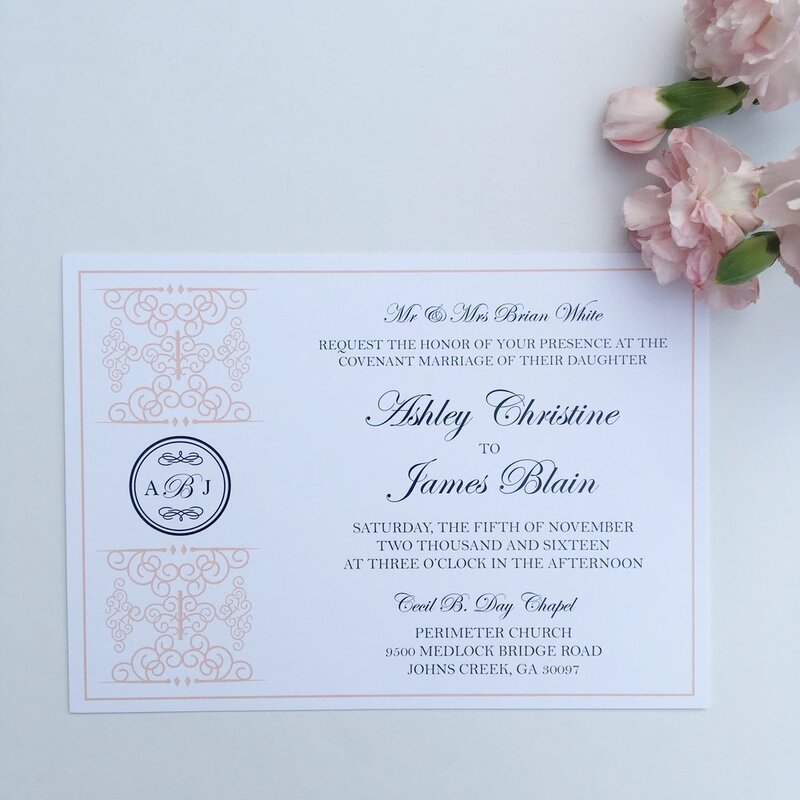 I would HIGHLY recommend 521 designs to any bride! Emily is very talented with design and you can absolutely trust her creative expertise. She created our Save the Dates, the invitation suite, the ceremony program, and some adorable “Welcome Cards” for our guests. I loved everything & was so thankful to be able to use one vendor for all of those details. I also really appreciated her commitment to my ideas & her professional guidance throughout the entire process. We love 521 designs! ☺"
In the midst of wedding stress it was nice to trust her completely with the process. 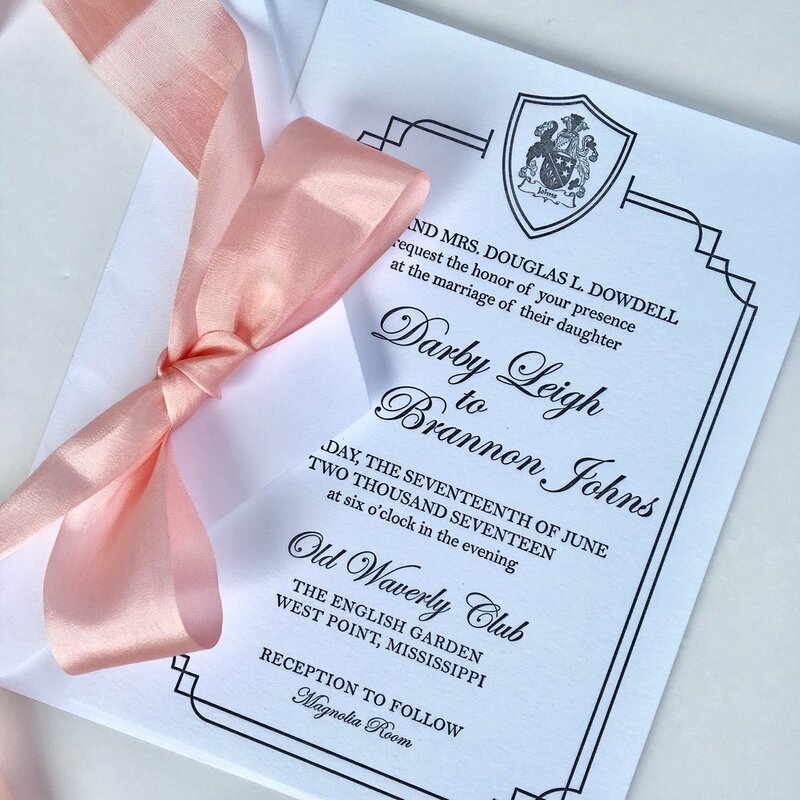 "Emily did an amazing job on our wedding invitation suite. Everything looked beautiful and was done in a timely manner. In the midst of wedding stress it was nice to trust her completely with the process. She is very creative and helped us adjust somethings with the design. They looked amazing and we will definitely be using 521 design for all our custom paper needs!" they were custom designed and one of a kind. I can't say enough amazing things about working with 521 Designs. Not only were my wedding invitations affordable (which was necessary since we sent out 225), but they were custom designed and one of a kind. Emily was fast and easy to work with, and I wouldn't consider using anyone else in the future! My wedding planner suggested 521 Designs so we knew they were the right choice for our wedding invitations! The invitations were perfect! "Wonderful, very professional and easy to work with!"